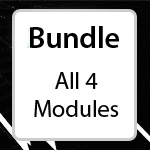 The Suite includes all four modules (1,2,3 and 4) and the Indicators listed in each module. 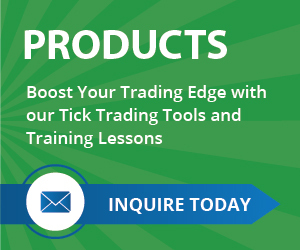 Developed exclusively for the TradeStation Platform. When you make a purchase you must supply us with your TradeStation CID (customer identification number). After checkout, please use our contact form to email us your TradeStation CID along with the module numbers you would like. Click here to contact us now. Once we have your payment and CID number, we will manually send your product(s) within 24 hours. If you are interested in "Tick Tools (Any 4 Modules)", please contact Bill via phone or email using the information below.